In commercial real estate brokerage, your promotional processes should be of the highest quality, so you are attracting more interest and enquiry from the local area. It is too easy in our industry to be ‘ordinary’ and ‘generic’ in property or services promotion; it is too easy to be ‘the same’ as all those other competitors that are out in the property market looking for listings. Internet portals – How can you make your listings stand out on the portals so that you attract the interest of the person surfing the internet? It is an important question. A simple way to do that is firstly with photographs professionally taken in and around the property. Professional photographs do stand out online and in the portals. If you have a good property to promote, use the best photos taken at the right angles at the best times of day. Change the photos during the campaign to others of different angles and features. Listing priority – Ensure that your property listings have priority placement on the portals; that positioning will require a premium payment, but the value is enormous in attracting local and fresh enquiry. Vendor paid marketing should be part of the equation of online marketing. Show the client their alternatives and the advantages that priority listings will clearly give their property and its campaign. Advertising copy – Some agents use a professional copywriter to create or oversee the content and layouts of the final advertisements for all listings. It is a good strategy to adopt, in that it takes what could be a very ‘normal’ property description, and then turns it into something that is interesting and well described. Campaign quality – Frequency and simplicity are two factors to think about in promoting any property. Keep the campaigns that you create for your exclusive listings simple, direct, and yet factual; use the previously mentioned focus points to add to the factors of attraction in the property marketing process. Promotional frequency – They sometimes say that ‘more is better’ in advertising, but that can be wrong when it comes to property marketing. The better way to look at promoting a commercial property is from a base of a specific target market of buyers or tenants. Match your promotional frequency and the adverts to the specific audience that you are targeting. Make your message stand out in the appropriate media channels. Signboards in precinct – You should have plenty of signs in your location, and particularly so on good quality properties; they are the ‘magnet’ for future new business. The signboards that you use should be appropriately large and feature a photo of the asset and or ‘internals’ of the listing. Make your signboards interesting in every possible respect. Consistent branding is one thing to watch, but signboard placement on the asset is so important when it comes to property marketing and enquiry creation. Direct mail – Letters still work quite well as part of a marketing campaign with most properties; in saying that, each letter should be sent out and then followed up where possible. Research may help you find the telephone numbers to use in that process. Every letter sent should be reverted to a conversation where possible. Conversations create future opportunity. Email marketing – So many agents use email as part of the marketing process for listings, and that is partially correct. However, the format of the emails and the frequency of the process is quite important. How often should emails be sent and on what days of the week? Make clear decisions on that. What should those emails look like and can you focus on just a single property type in each dispatch? Conversions to enquiry are always higher when you send emails that are ‘singular’ in property type and or location. To achieve that focus you will need to look at your database and how you can segment the email dispatches to groups of people and locations. Local area coverage – When you are promoting a property, think ‘location’ first and then your enquiry ‘targets’ second. Getting the message out about any listing is an important part of the real estate business. 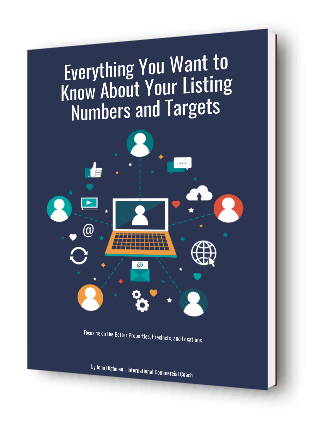 Our professional skills should align to marketing every listing effectively and directly. Local area coverage is so important to converting enquiry in most cases. Editorial – If your property has a ‘story’ from history that is worth sharing, then do so. 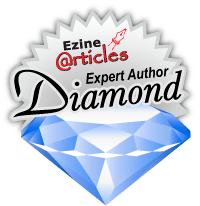 Add an editorial to your promotional campaign. Link the editorial story to local interest so that the newspapers can take an interest in the publication of the information. So, each of these issues can be ‘tuned’ to the location and property. That is how property enquiry is attracted and how it can become more frequent. What is the target here? Be known as the agent of choice in the location and with the property type. Be a specialist in property marketing and build your real estate business around that process online and offline.